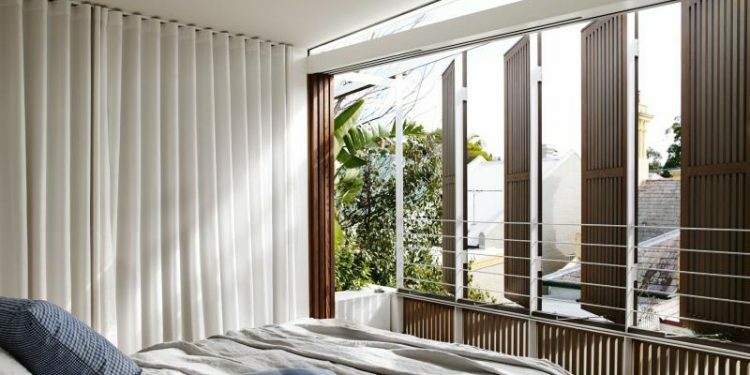 There is a really wide array of window types on the market and they usually adjust on your needs. Window treatments such as shades, blinds and curtains are an important part of any room design. They will bring an extra element of pattern or color. Here are a few designs that you will love. Thanks to these designs you will find yourself the inspiration you need. Taking use of curtains of green linen and wallpapers is a great way to make your room stand out. Just add a sofa in an MK Collection and also a Chesney mantel and you will make your room stand out. You can also get yourself a club chair and a vintage carpet so you will put the accent on your windows. This idea is a great one especially for people that need to be creative and probably want to have a personal quiet place to do their creative work. You can truly make your room special by adding some Turkmenistan hangs between windows. Applying borders and pelmets is also a good way to make your room stand out. The Victorian club chairs and the Roman shades will also make your room truly special. You can make your room in this style by simply adding a new top-floor master suite. The bed can be custom made and the curtains can be made of a Janus et Cie fabric. You can also add lamps in this room. For example you can choose to add lamps from Donghia. Another New York home presented in our list is this one. You will need a bigger living room in order to take advantage of this style. You can dress your window with blue curtains. Robert Kime printed linen can be a great choice for you. You can also add a 19th century Amristar carpet. A chandelier will also be a great addition to your room. This master bedroom is truly special because of its Gilbert Poillerat chandelier. Some antique Italian mirrors will give the impression that the room is bigger. The windows will certainly be the main piece of the room because they will have some golden curtains. You can also get an antique commode. A Victorian chandelier and an interesting wallpaper will be some truly special additions to this room. This great style is decorated in a tile mural by Atelier Promethee. In order to make yourself a living room with the same design you can choose a pair of Chinese cabinets mixed with some Louis XV style chairs and a furnished French Empire Table. You can also add a mirror and some curtains made by Donghia fabric. Some vintage chairs that are situated near a window wall with some aluminum curtains will make the perfect Manhattan apartment. You can also add some dining table in your room to make it stand out.